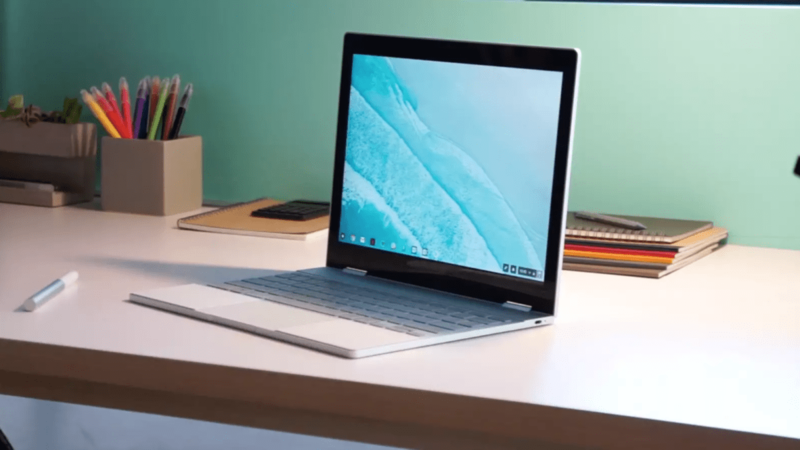 Months before the Pixelbook’s official debut, we were convinced that the Chromebook formerly known as ‘Eve’ would come equipped with a fingerprint sensor. Sadly, as we travelled to San Francisco last October, we were met by Google’s flagship device sans this feature. While biometrics are still being tested in Chrome OS, we have still yet to see a Chromebook, tablet or detachable premier the technology. We’re almost certain we will see a built-in fingerprint sensor sooner than later but for now, biometric unlocking and 2FA options are left to third-party products like the Google-recommended Yubikey. With that being said, the Pixlebook may very soon offer up an alternative option for two-factor authentication. As Justin Duino of 9to5Google reports, the Pixelbooks power button can now be used as a U2F(Universal Second Factor) security key. The feature has just been pushed to the Stable channel in the latest update to version 67 of Chrome OS. Enabling the power button’s U2F functionality does require the use of the Crosh developer terminal. So, if you aren’t familiar with this type of tinkering, it may be best to leave this one be for now. If you want to give it a try, I do highly recommend setting up an alternative method of two-factor authentication. This can be in the form of Google’s Authenticator app or another hardware key like the aforementioned Yubikey. Having another method will ensure any hiccups will no prevent you from accessing your accounts. Now, make sure your Pixelbook is up-to-date by heading to chrome://settings and in the top left hamburger menu, select “About Chrome OS.” Click check for updates and look for version 67.0.3396.78. Close the Crosh page and now you should be able to head over to Google’s Security Page and set the Pixelbook’s power button as a second authenticator. Again, I strongly suggest creating an alternate 2FA option before experimenting with the Pixelbook’s power button as a key. I had heard about this feature from someone familiar with the project a few months back but at the time, it looked to be a Google-exclusive to be used internally. I suppose, as Linux apps make their way to developers and the OS expands, Google decided that many could benefit from its use. It’s even possible that we could see the 2Fa option come to other Chrome devices in the future but we’ll just have to wait for that or buy a Pixelbook. Your call.